First, establish the information that you want to convey. For this example we will display a breakdown of a sample presentation, see table. 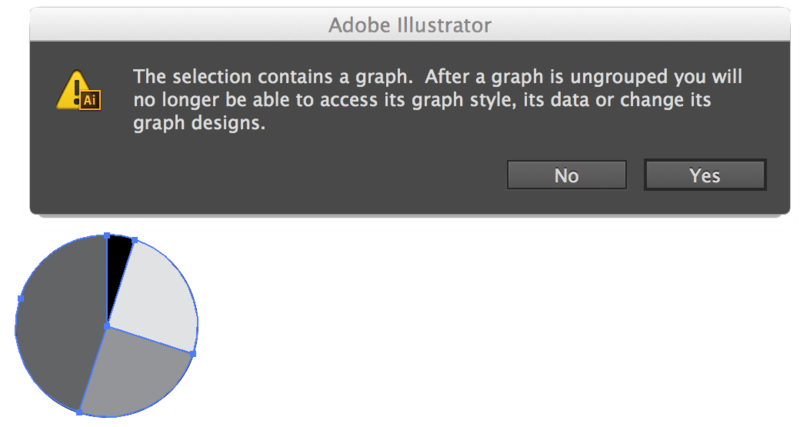 Second, in Illustrator, create a new document and select the pie chart tool. 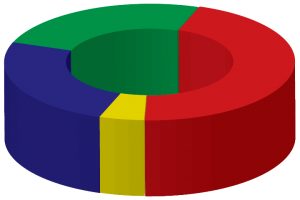 Third, establish pie chart size, for the example we selected 200px x 200px. 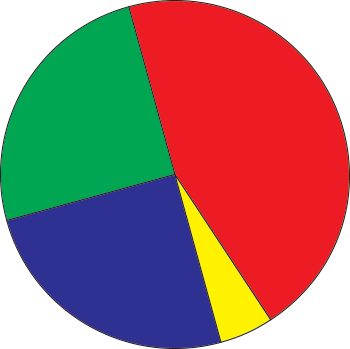 Next, Enter the pie chart data. 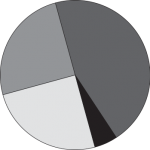 Select all the slices and rotate the graph for optimal 3D perspective viewing, we rotated the pie chart so the smaller slices will not be obstructed by the larger slices. Select all the slices and select the stroke to none (it is important to set the stroke to none, this will prevent your extruded pieces from having a black colored side walls). 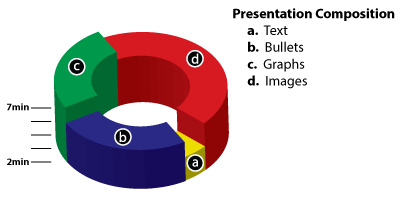 Select each slice and chose your desired color for each slice. 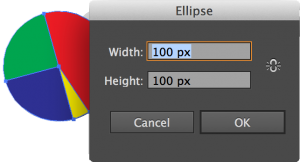 To make the graph a donut you will select the ellipse tool, for the example we created a 100px x 100px ellipse to create a circle with a 100px diameter. Align and center the newly created circle and the pie chart. 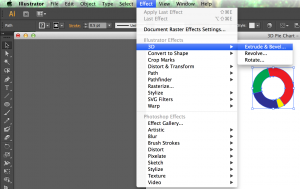 Select all objects and select transform and divide. 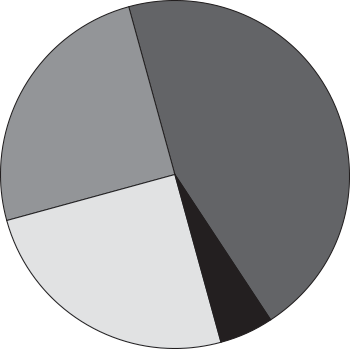 Ungroup and delete the unwanted center sections to create the donut shaped pie chart. 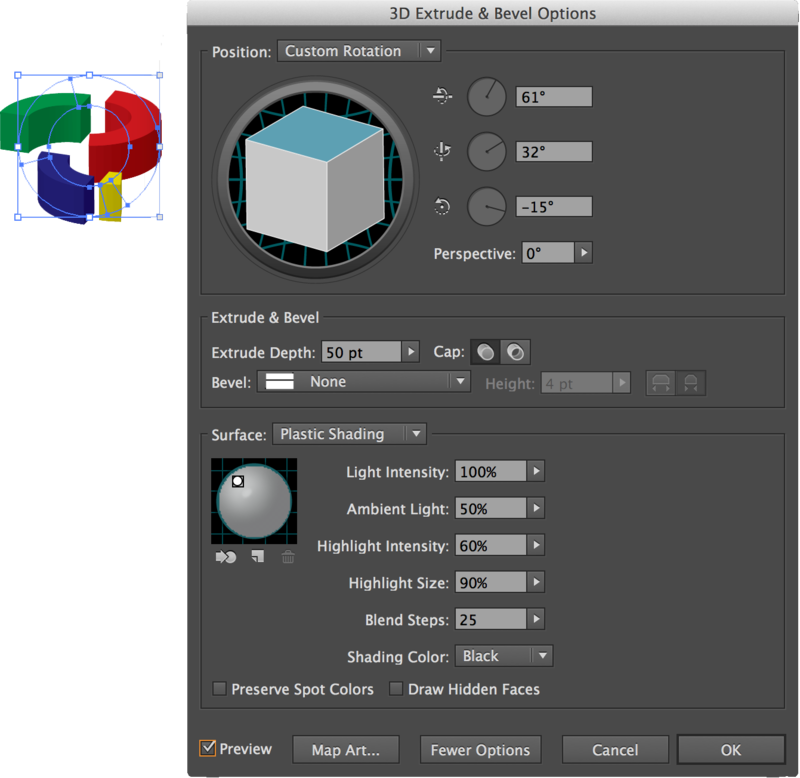 Next select all the components of the pie chart, and select the 3D Extrude & Bevel Effect. Rotate to a perspective that best shows all the slices and adjust lighting effects as desired. 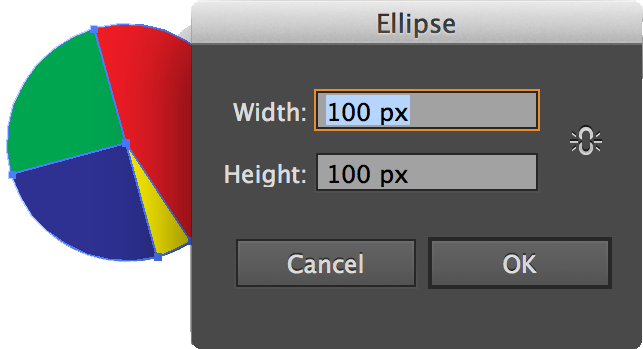 Align all the slices (you may need to adjust the slice order so they display properly). Select each individual slice and in the appearance history you can change the height of the slice to the desired height for your graph to display. 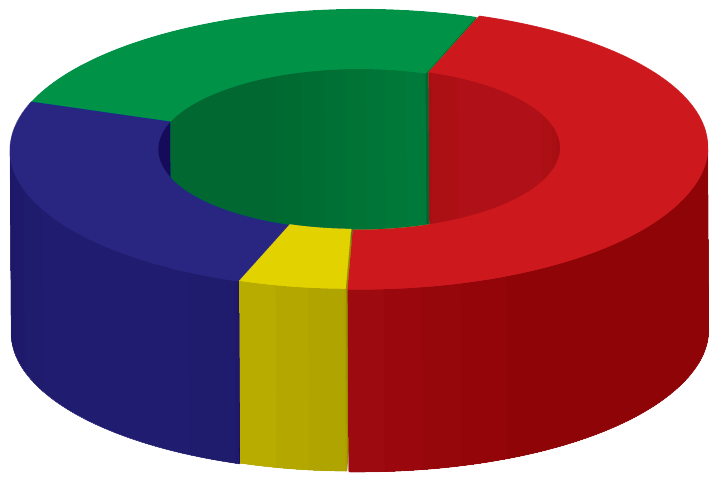 After you change the heights of your slices you may need to readjust their relative positions. 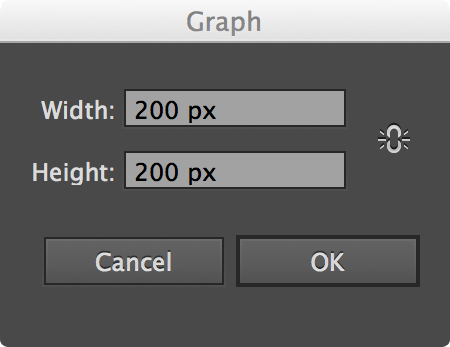 If you do not like the perspective view or your graph, you may need to adjust the the perspective angles of your graph, each slice will be as we did. Label and you are set to go. 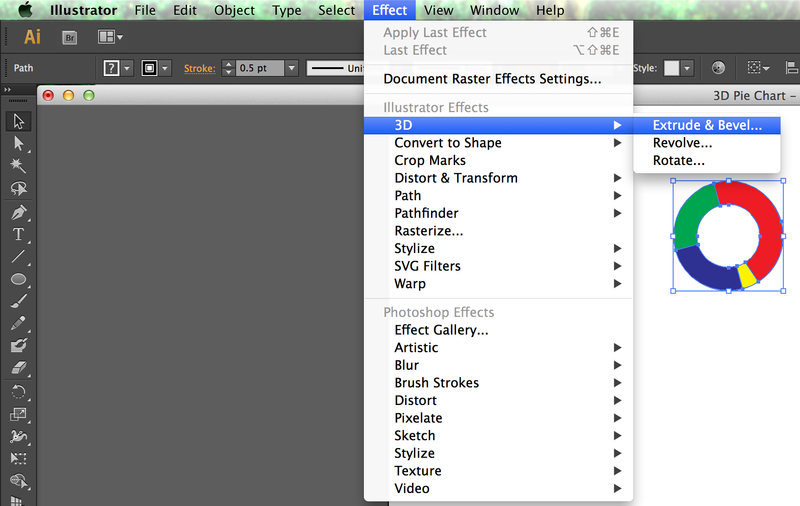 What am I transforming it to (under effects-distort and transform)? I am lost at that part. Also, I can’t seem to delete the unwanted parts once I have the ellipse tool and entire chart selected. 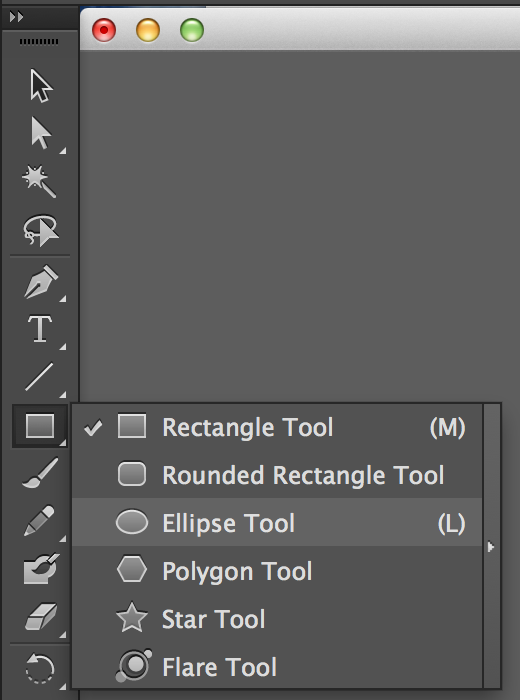 I end up deleting the ellipse tool only or the selected slice of the chart w/ the ellipse if I try to delete. Never just the unwanted section. @kfooks, interesting I tried dividing by using: Effect > Pathfinder > Divide and by Object > Path > Divide Objects Below and both methods did not work. 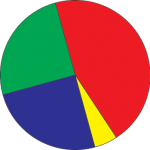 The only way I have been successful to ‘cut’ the pie chart with the circle/ellipse is by using the shortcut divide via the pathfinder control box. You can activate the control menu for pathfinder via: Window > Pathfinder, then select the objects you want to divide (the pie chart and the circle) and Select the Divide Icon on the pathfinder control box. 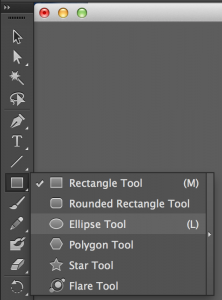 After that all the parts should be grouped, ungroup and delete the undesired parts. I hope this helps. I would like toadmitthat all of your articles are of great helpas they givewonderful guidances.Wishing u all the best for your future articles and expect them also to help me similar to this.